Business systemisation gained notoriety from the bestselling book by Michael E. Gerber, published in 1986, The E-Myth – Why most businesses don’t work and what to do about it. In 2011 this groundbreaking book was named the number 1 business book of all time by The Wall Street Journal. In The E-Myth (Entrepreneurial Myth) Gerber explains how businesses are usually started by those who know the content of a business – so-called “Technicians”, people who know how to do the technical work involved in an enterprise – rather than by those who know business itself – so-called “Entrepreneurs” – and why start-ups are therefore by definition prone to failing. In order for a company or business to thrive, it must move beyond relying on the so-called “Technician” who is now also the company owner. Gerber uses the franchise model to demonstrate how a business does this: Franchises are prototype businesses that are operated in terms of well-documented systems, i.e., there are manuals describing in minute detail how to run the business. Gerber argues that the entrepreneur should spend time creating a business that can run by itself, without the presence of the entrepreneur, and this is achieved through business systemisation. Gerber outlines the three systems that are important for businesses, by making the business processes ever more predictable and consistent: Hard systems are the physical tools that make a company more efficient; soft systems are the methods and practices employed by staff to get the job done; and information systems are those IT processes that gather data about the business and its operations in order to allow for comparison and selection of best practices. The most often quoted example of successful business systemisation is the international McDonalds franchise operation, which has over 34 000 restaurants in 119 countries, and where every individual franchise is able replicate the same standards in products and service offered, regardless of where in the world it is located or who the manager might be. McDonalds and other fast-food franchises have provided a model for successful businesses run according to systems that eliminate the possibility of variance. When you buy a McDonalds franchise, you attend the company’s training program and you are taught how to run a McDonalds restaurant using an operations manual. The successful entrepreneur or business owner should approach his or her business in the same way: As if it were a franchise. 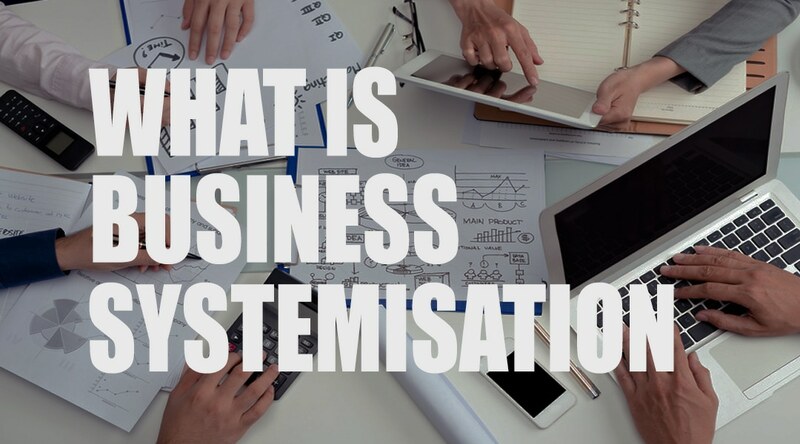 As demonstrated by the franchise model, systemisation essentially means that you are replacing yourself with a system. While the system is running your business, you are free to expand the brand or build a second branch, in the same manner as a franchiser. In the more than 25 years since Gerber wrote The E-Myth, there have been great advances in technological development and IT – software programs are today at the centre of most business operations such as budgeting, procurement, human resources and performance management. This is why svstemising your business makes even more sense today than it did back in 1986.
Business systemisation will enable you to create repeatable systems to manage the operations of your business, to continuously streamline and improve your business processes, and ultimately to allow your business to thrive and grow. Would you like a business that is systemised and runs without you? The first thing to do is make the commitment to build your business into something amazing. Systemising a business the right way does take time, the end results are however “Life changing” for you and your business. Wendy Tadokoro helps businesses and entrepreneurs to implement high impact strategies, systems and tools to supercharge their personal and business productivity.